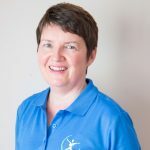 Sligo Kinesiology > Blog > Muscles & Joints > Gardening – Aches and Pains! Now that Spring has finally arrived it’s nice to get outside and do some gardening. I have a very small poly tunnel myself and I enjoy pottering about digging, sowing and transplanting. 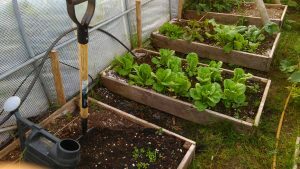 I mostly set lettuce, spinach and herbs as they are easy to grow, nutritious and high yielding. A few years ago I couldn’t do any gardening at all as I would have back pain for days or weeks afterwards. Now I use kinesiology to stay flexible and if I happen to pull or strain a muscle I can treat it immediately and usually fix myself in a few minutes. This gives me the confidence to work away without the worry of “putting my back out”. If any of this sounds familiar or if anybody finds it difficult to straighten up after a spot of digging, sowing or weeding there is a solution. Through Systematic Kinesiology muscle testing I can check the muscles used for digging, bending and lifting and identify any weakness. When an important muscle is not functioning correctly it puts extra pressure on other nearby muscles and joints eventually causing stiffness and pain. Using kinesiology techniques I can strengthen and balance the weak muscles allowing the whole body to work smoothly and efficiently.